Last weekend’s Monroe Symphony concert was lots of fun, our audience was encouraged to bring the entire family out for some light classical fare. 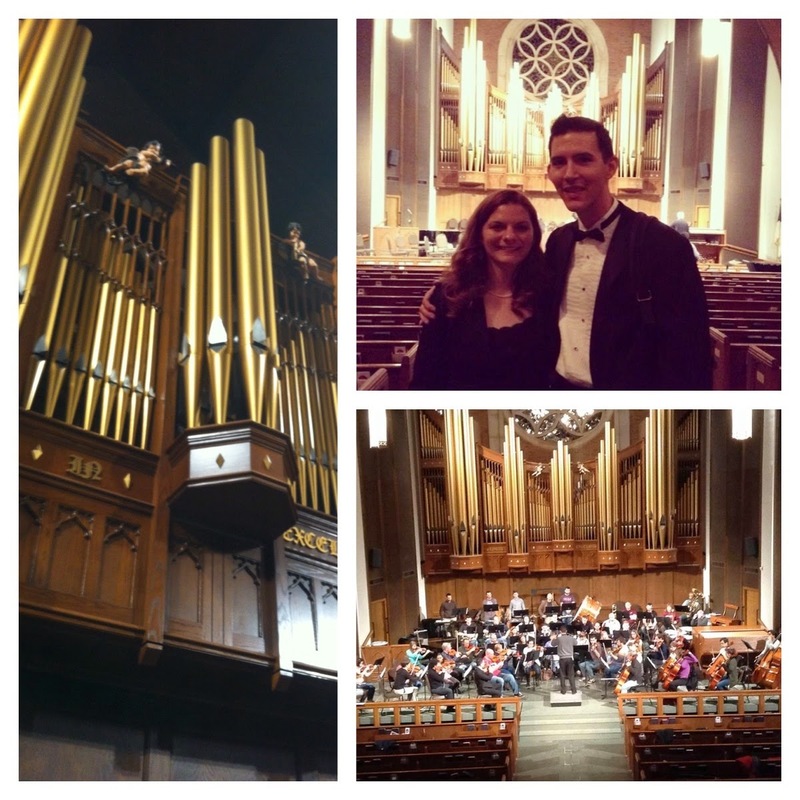 For this concert, we changed it up and instead of our usual massive venue, we found ourselves in a beautiful church. We had some of our family in town for this concert so we went out to socialize. The king cake cheesecake that we had at Copeland’s was incredible! This month is busy with concerts and gigs. I will be going to Abilene to play with the philharmonic this coming weekend while my husband stays a little closer to home to play with the Plano Symphony. I am also playing on a friend’s upcoming ophicleide recital and of course my own guest artist recital is starting to sneak up on me!